13 ½” X 19” serigraph print--contemporary design. 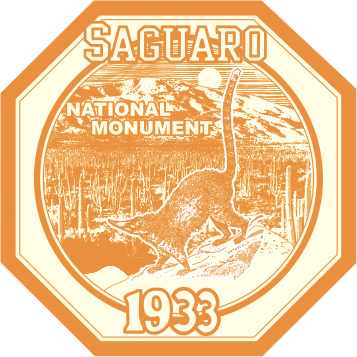 Saguaro National Park was first established as a monument in 1933 preserving the Rincon Mountain area east of Tucson Arizona. 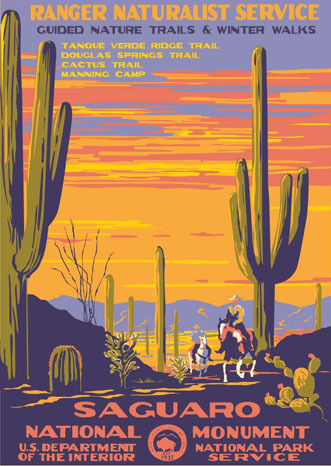 In 1961, the Tucson Mountain western section was added after a large saguaro die-off. Both sections encompass parts of the biologically unique Sonoran Desert. Saguaro Cactus are the "sequoias" of the desert, living up to 150 years and reaching up to 50' in height.